Channel-Set Round Diamond Engagement Ring | Shane Co.
Crafted from superior quality 14 karat white gold, this exquisite design features 28 round diamonds, at approximately 1.00 carats total weight, channel-set on the top and edges for a spectacular profile. These brilliant stones have been hand-matched for exceptional brilliance. 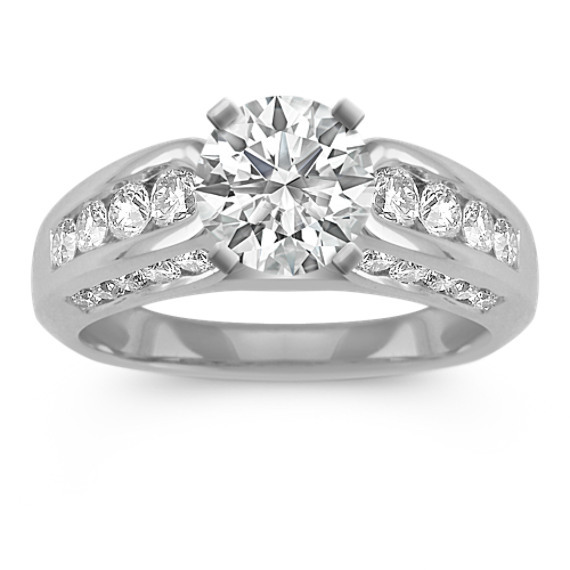 Add the center diamond of your choice. Gemstone Carat Weight :1 ct. t.w.